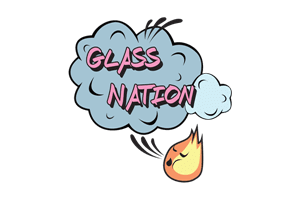 Glass Nation has the best scientific glass bongs online. Firstly, scientific glass is created with expert skill and precession. What is scientific glass and how is it different than other types of borosilicate glass? Secondly, scientific pipes are typically made on a lathe and is often constructed with clear, thick, ultra pure borosilicate glass. Scientific bongs have great functionality and are often built with high grade percolation. If you are looking for first class utility out of your bong that getting one with loads of percolation is a good bet. Scientific glass offers the best of functionality and beauty as well. These glass smoking pipes are some of the hottest kinds of glass you can get. Scientific glass is applied to many different styles of smoking pipes as well. Furthermore, there are scientific rigs and scientific glass bongs you can choose from. You will absolutely not be disappointed.